This wonderful unique wall clock doesn’t display the traditional Roman Numerals. It has unusual and beautiful skeleton design that would impress the most demanding customers. 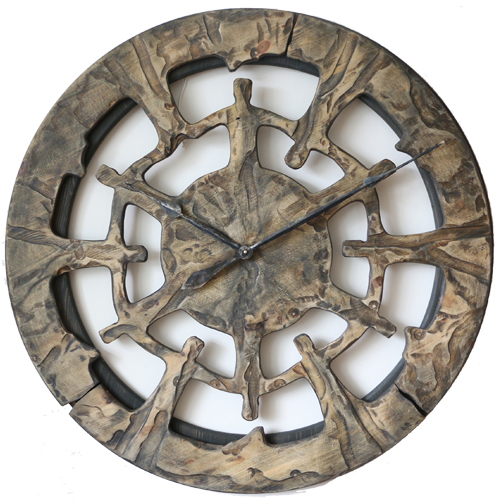 This stunning unique wall clock is one of the most unusual in Peak Art collection. It doesn’t display the traditional numerals which makes it so appealing for eccentric art collectors. 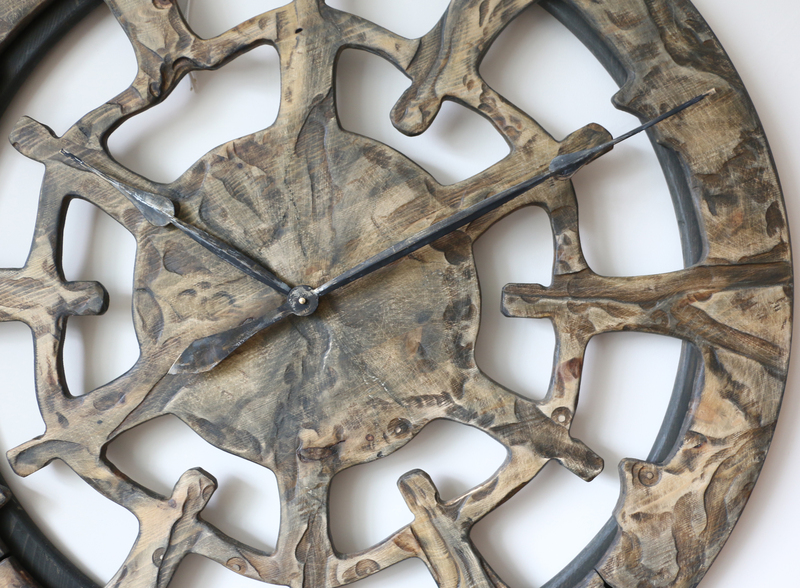 If you look closer at this beautifully crafted clock face you will see spiritually united dancing tribe. Are you looking for something totally different to what the mass market has to offer? You definitely won’t regret purchasing one of Peak Art’s handmade wall clocks. In this day and age the vast majority of home decoration products are designed to be cheap and sold on a massive scale. 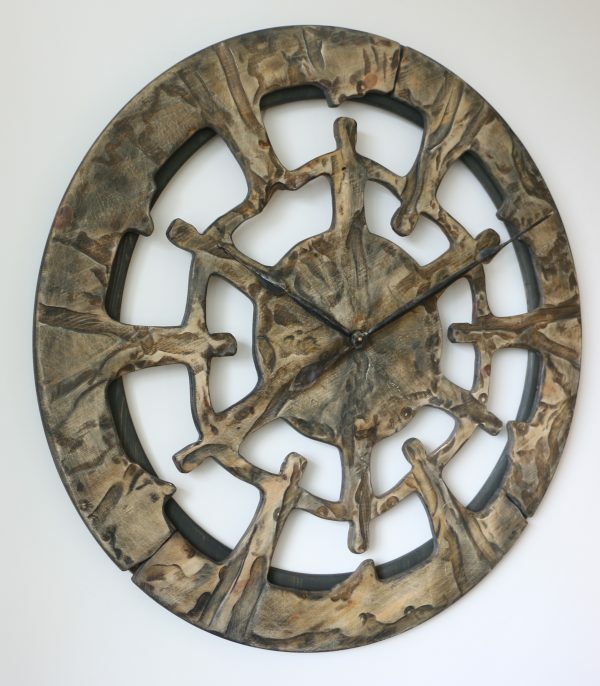 In a matter of minutes you can find hundreds of large clock designs that all look exactly the same and slightly vary in price. Factories around the World are busy producing hundreds of thousands of items that lack originality and character. Is that something you are looking for? Would you like the product that is identical to hundreds of thousands of others? Peak Art is a small global family business that makes a strong statement in this niche market. We fully understand that people are very often looking for uniqueness and character. The top priority doesn’t have to be low price but best quality. 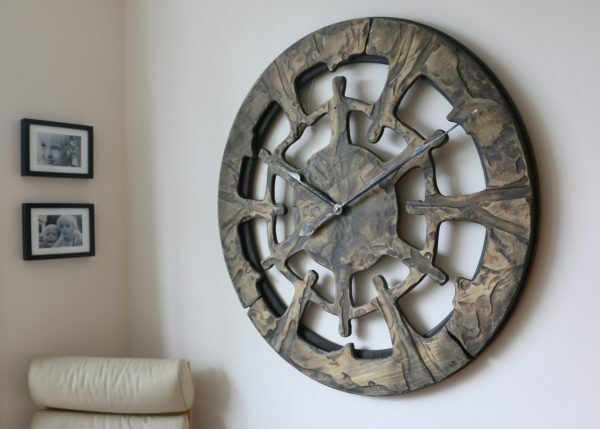 This is why our oversized clocks are popular in many countries around the World. 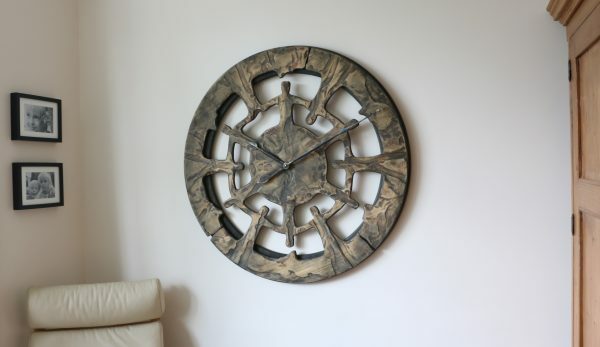 We are doing our best to make sure that you can buy the most unique wall clock if that is what you need. Each design has its own character and style and no two clocks are ever the same. When you buy one of those amazing timepieces you can be sure that it will have a very strong “wow” effect on everyone coming to your house, office or penthouse apartment. Please don’t hesitate and join thousands of people in our Facebook Community to see the latest designs. Also please leave you feedback and comments to let us improve and create more unusual designs.